This nature-inspired mobile gazebo is a place where both kids and adults can play. 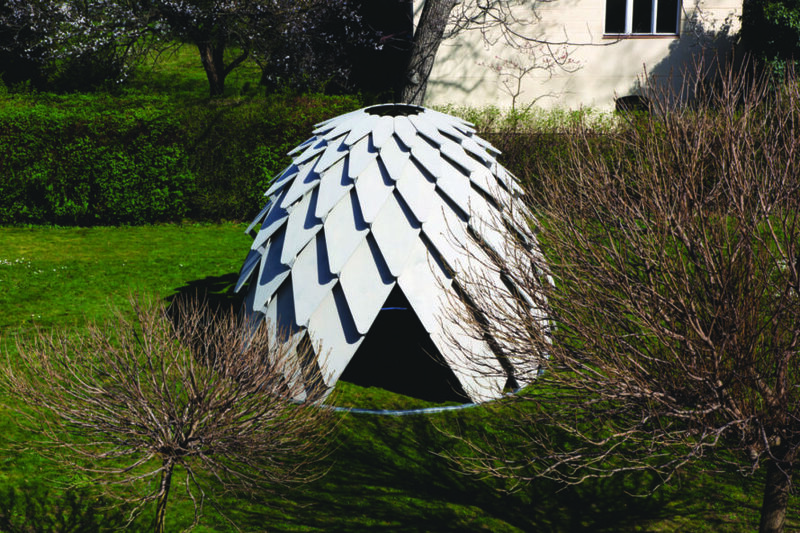 Czech designers Atelier SAD designed the structure, named “Altán Šiška,” as a small building with pinecone-like scales that facilitate natural ventilation and double as drawing boards for kids to express their artistic sides. The building was crafted from 109 waterproof scales made of plywood. The boards are coated with a glaze to make them more durable. They are joined by galvanized joints, creating a structure that is strong and sustainable. 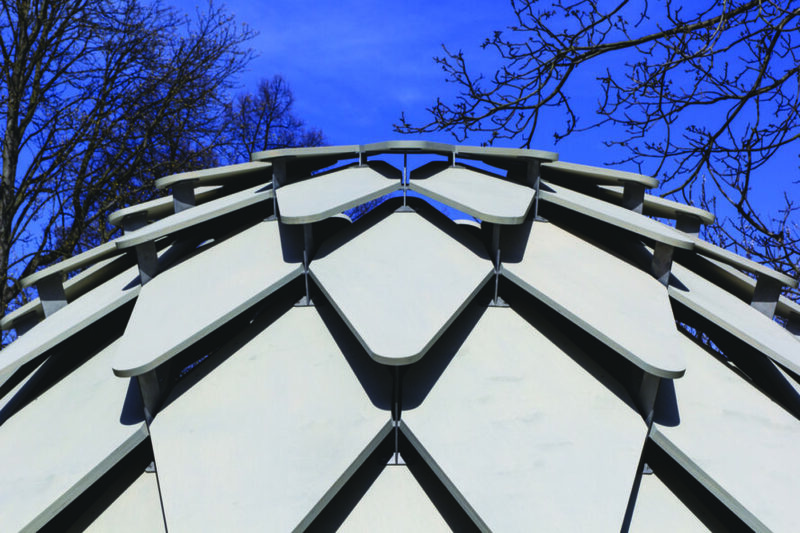 The structure’s scales are deliberately spaced for ventilation. The gazebo is perfect for taking a classroom outdoors, practicing yoga or enjoying a campfire. Related: Atelier SAD’s Modular Port X Home Can Pop Up on Land or Water! “It is on the cutting edge of architecture and design, and can even serve as a meditation space,” said designer and owner of Altán Šiška, David Karásek. “During the design process, we were aiming to smash boundaries and move forward. The Pinecone project was a big challenge for us because it was more than just a one-dimensional product,” the designers said. 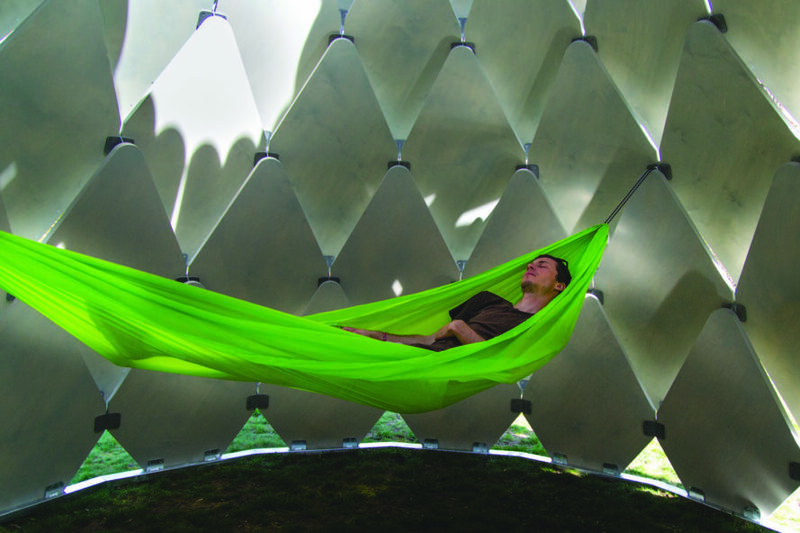 The building can be placed anywhere — from a backyard, to a park, to school campuses — in one day. The gazebo, named Altán Šiška, is sturdy, thanks to its plywood scales. The open top makes it possible to enjoy a campfire right inside of the gazebo. The building is designed by Atelier SAD. “During the design process, we were aiming to smash boundaries and move forward. 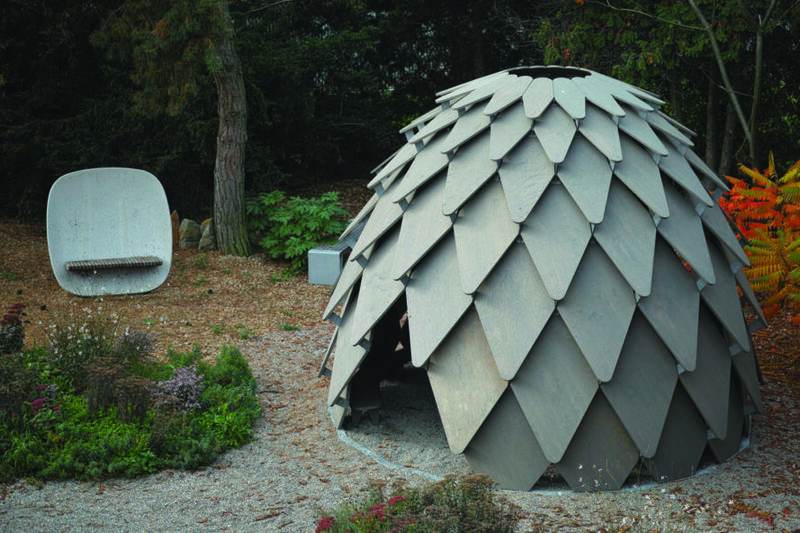 The Pinecone project was a big challenge for us because it was more than just a one-dimensional product,” said the designers. 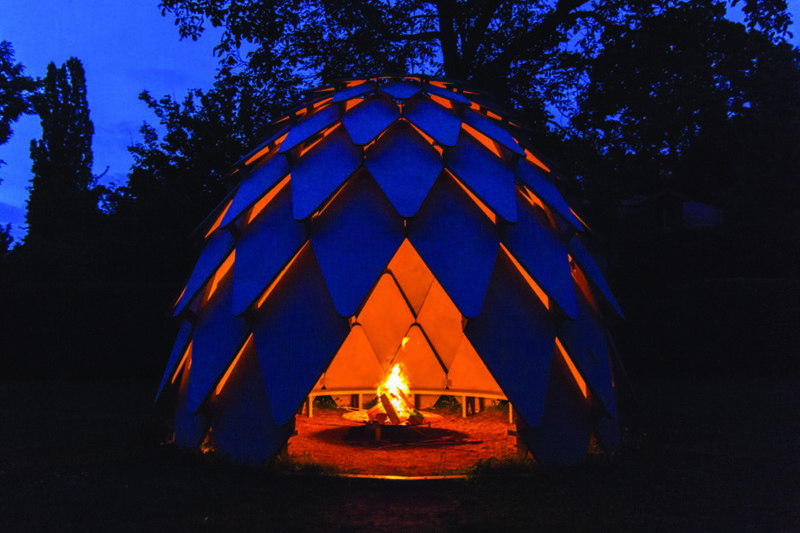 The campfire gives the pinecone structure a fascinating glow from within. The structure is crafted with more than 100 plywood scales. Each scale is strategically spaced, allowing for ventilation and fresh air. Altán Šiška offers a fun atmosphere for children and adults. 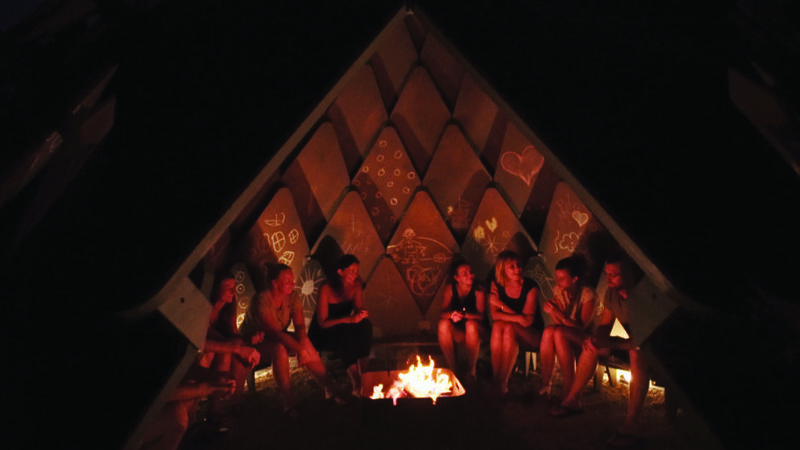 The structure serves as an ideal gathering place for friends to enjoy a fire. The top of the structure is open. The gazebo's open top provides more air circulation and natural light. 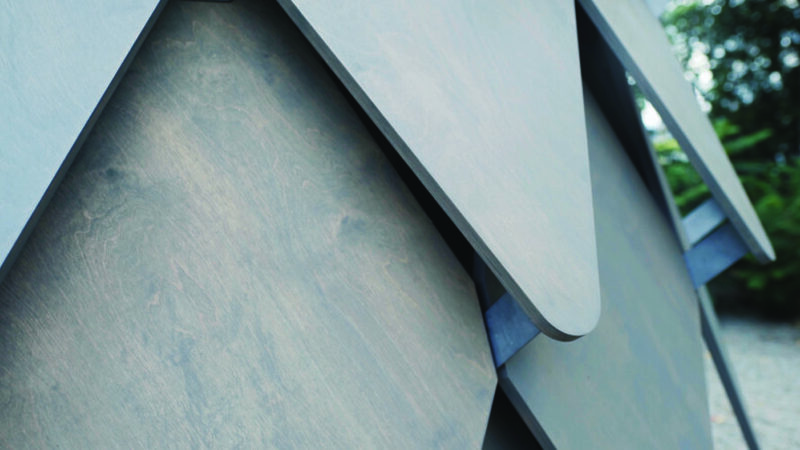 Each scale is coated with a glaze, making it more resistant to external wear. 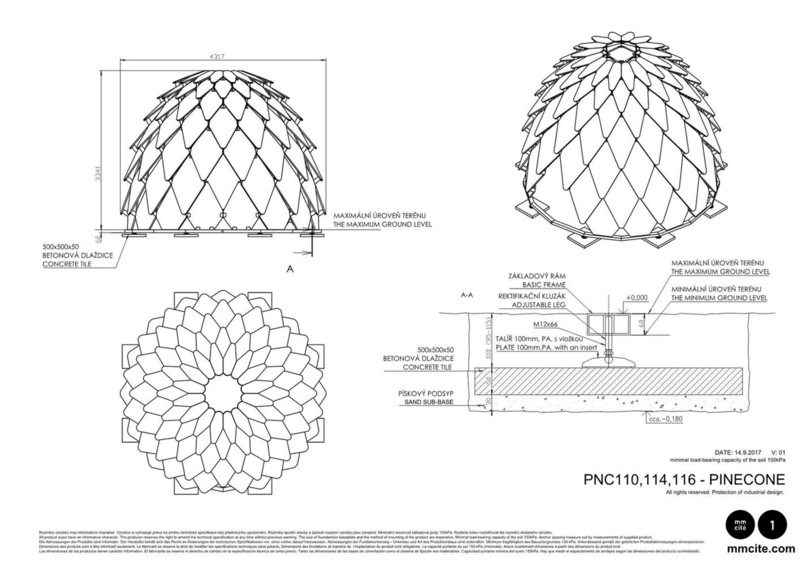 This pinecone-like structure is a gazebo inspired by nature. The building is suitable for kids to practice their artistic skills. It serves as an excellent spot for children to play. 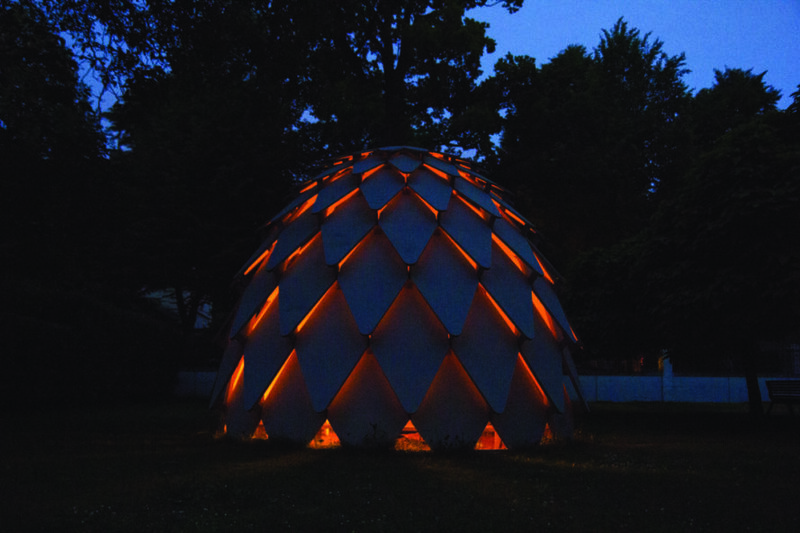 The structure can also serve as an outdoor classroom for up to 26 children. 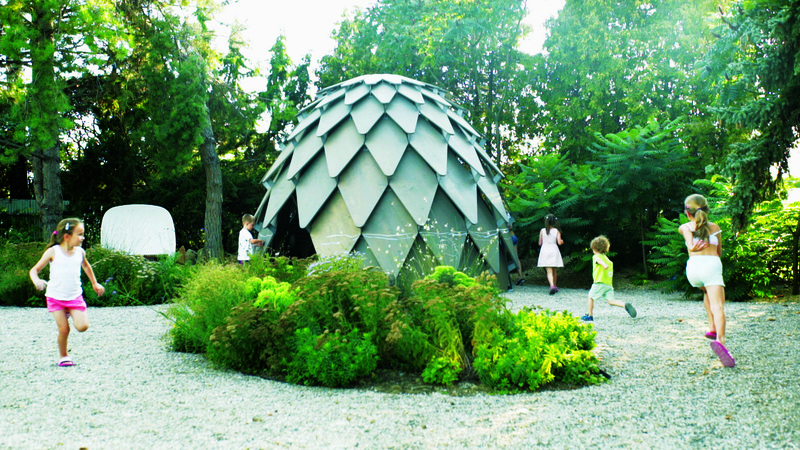 Children enjoy hanging out inside the unique structure. 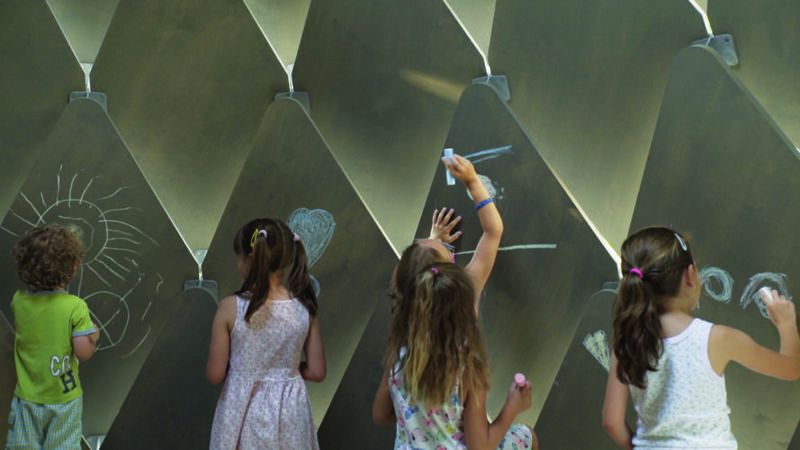 Kids can get creative and draw on the inside and outside of the pinecone with chalk. This gazebo is not just for children. It's a perfect spot to relax with yoga... or a nap. The designers crafted the structure with care, paying attention to sustainable details. Best of all, the structure is movable and can be transported in just one day.